On September 17, 1787, the delegates to the Constitutional Convention met for the last time to sign the U.S. Constitution document they created. 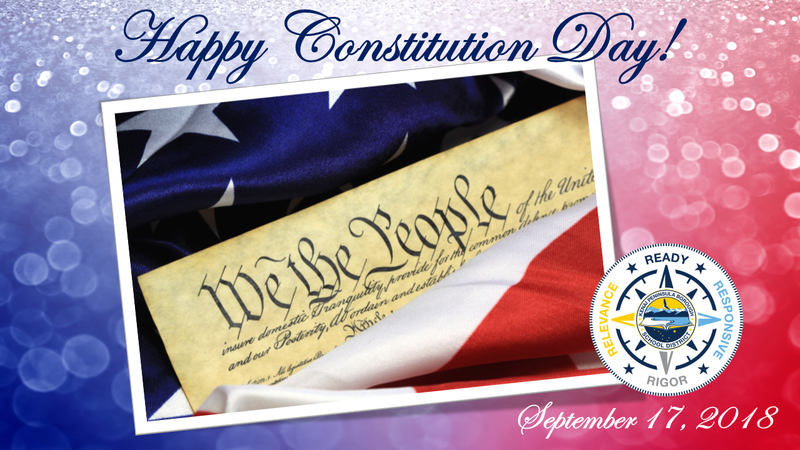 KPBSD invites teachers, students, and the community to celebrate Constitution Day through activities, learning, and demonstrations of our love for the United States of America and the blessings of freedom our Founding Fathers secured for us. This entry was posted on September 11, 2018 at 5:25 pm. You can follow any responses to this entry through the RSS 2.0 feed. You can leave a response, or trackback from your own site.